Swimming pool replacement liners are an easy way to give your pool a new look while being easy on the budget. Pool liners can not only add durability to your pool, they can also add a new element of style. 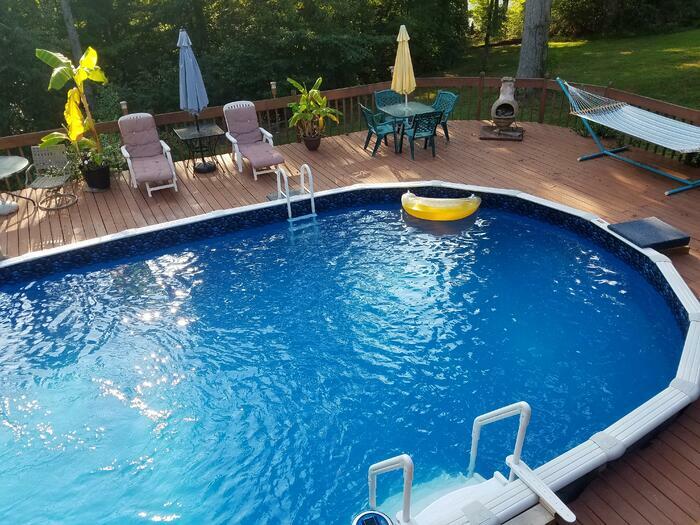 There are a variety of different liners to choose from, so there are a few things to consider when purchasing a replacement pool liner. The first thing to consider is the thickness of the liner. 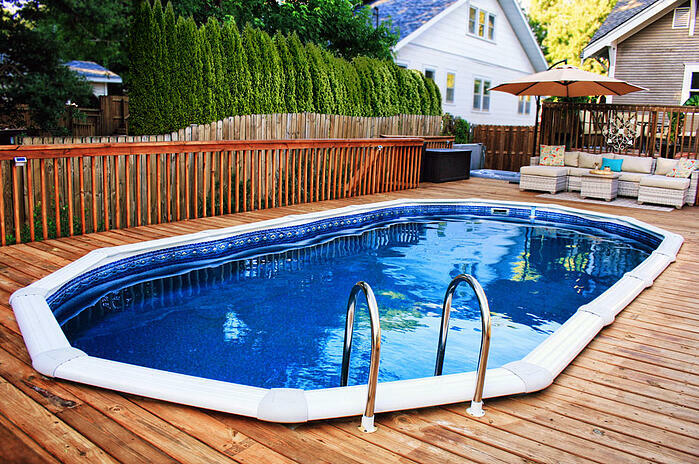 You will definitely want to consider the amount of wear and tear you encounter with your pool. This will help to determine the most appropriate liner thickness for your pool. If you are looking for long-term durability, you will want a thicker liner. The standard thickness for most above ground pool liners is 20 gauge, and standard 20 gauge liners do work well. Thicker liners do have other advantages though in providing protection from the sun and keeping your pool looking brighter with less chance of discoloration. Mil is a true regulated form of measuring the thickness of a liner. Gauge, in vinyl liners, is not regulated and is more of an estimated thickness. You also want to consider the different types of liners that are available. There are 3 main types of above ground pool liners including Overlap, Beaded, and Uni-Bead liners. Overlap liners are among the cheapest and are limited on the availability of heavier thicknesses. These types of liners will drape over the top of the pool walls and hang down on the outside of the pool. The next type of liner is referred to as Beaded. This liner type snaps onto a track that runs around the inside of the pool. This is what holds the liner in place. These liners are much easier to replace than an overlap since you do not have to remove top seats or rails in order to remove or replace. 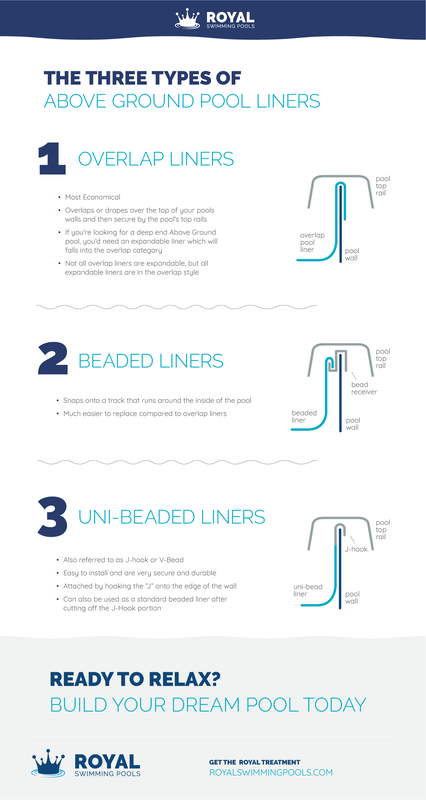 The last type of liner is the Uni-Bead liner. These are sometimes referred to as J-hook or V-Bead and can be installed on nearly any above ground pool. These liners are easy to install and are very secure and durable. They are attached by simply hooking the “J” onto the edge of the wall. Another nice feature of a Uni-Bead liner is that it can also be used as a standard beaded liner. Simply cut off the J-Hook portion above the bead, and install as a beaded liner. Once you have decided which type of liner best fits your needs, you can select a design that will give a whole new look to your pool. 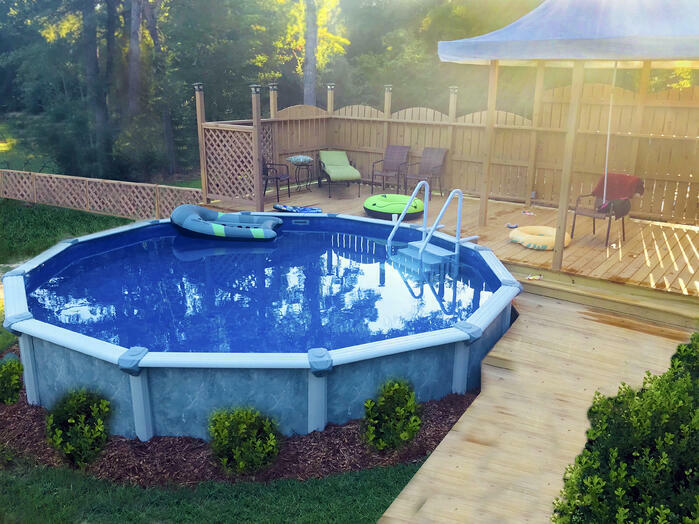 Replacing your pool liner will help to add a new look of elegance to your above ground pool, all while giving you the durability that you need. You will be protecting the life and look of your pool as well as your investment.